From 1 - 31 October only! From selected DSPs, buy 3 DSPs and get 1 FREE! Tonight the Art with Heart Team girls are sharing some wonderful ideas to inspire you with our Designer Series Papers. This month is the start of the new Stampin' Up year and we have a special promotion on our DSP - buy 3 get 1 FREE for the month of October, and there's no limit! So take this opportunity and go to my shop to browse those beautiful papers and pay less! 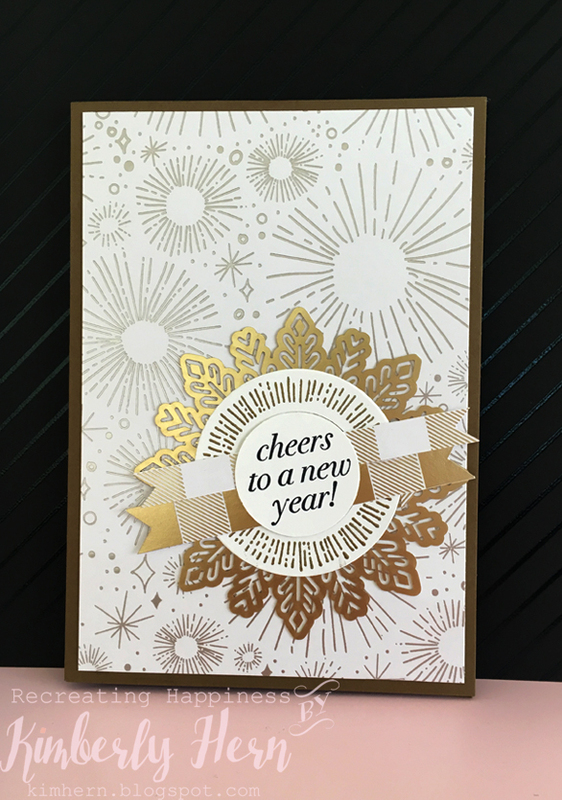 To demonstrate the DSPs I've chosen the one that is the latest holiday catalogue - the Year of Cheer Specialty Designer Series Paper! 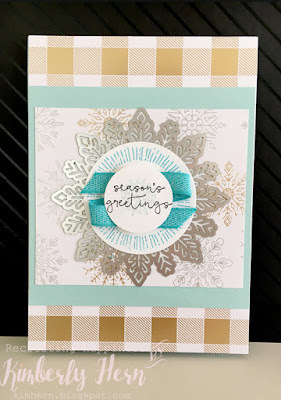 I've used this DSP in my previous fun fold Christmas card, and am so impressed at how attracting it is. Now I'm using it again to make two cards, one for Christmas and the other New Year. 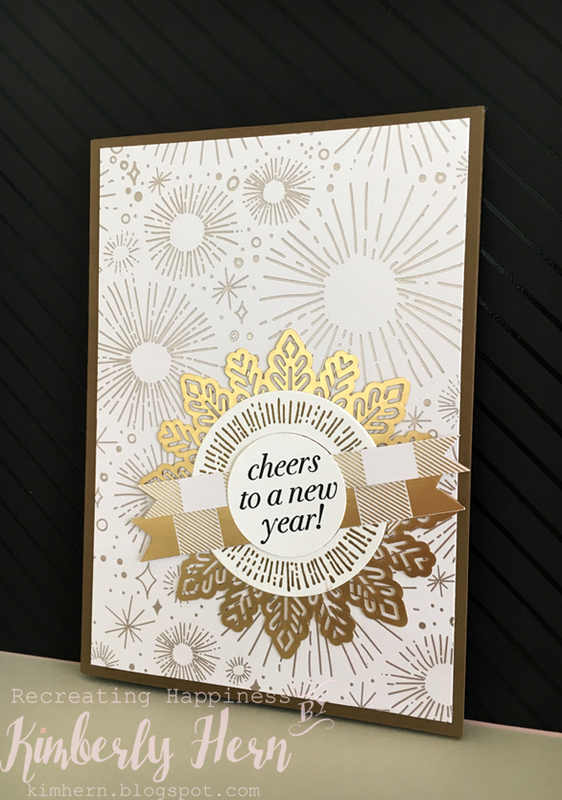 In this card I've used two sheets from the DSP, as well as the Cheers to the Year stamp set, plus the foil snowflakes to complete it. It is relatively easy (that's how I roll) and basically I just layer them all up. I try to ink the edge of the snow flakes with Bermuda Bay ink pad but it doesn't stay on very well. I think most of the ink eventually got to my fingers! In this card I've also used two sheets of different design from the DSP, and the same stamp set and foil snowflakes. I cut the other DSP in arrowed strips to place under the sentiment. Well I hope you enjoy my cards which are very easy to make with this DSP to impress the receiver. Now it’s time to hop on over to our next participant, the very talented and lovely, Catherine Proctor! Great cards, Kim, I especially like the New Year card with that dsp like fireworks!!! Kim your cards are really beautiful and I especially like the 2nd one. Love these festive cards Kim! I'm especially loving the New Year's Eve one too with that fireworks. Hello! My name is Kimberly and I currently live in Melbourne, Australia. I have been making cards and papercrafting since 2011. 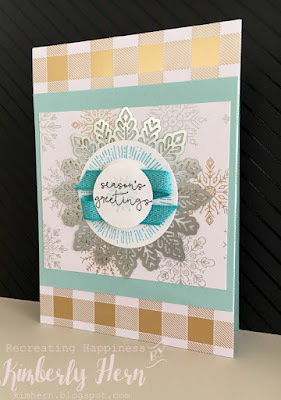 I've recently become a Stampin' Up Australia demonstrator, and I have classes whereas I teach techniques and steps of making a unique card using Stampin' Up supplies. I hope you enjoy cardmaking, scrapbooking and other papercrafting just like I do.